Editorial: Preventing Cardio-renal Syndrome Rather than Treating It: Could Statins Play A Role? © Athyros et al. ; Licensee Bentham Open. Cardiorenal syndrome (CRS) is the umbrella term used to describe clinical conditions in which renal dysfunction accompanies cardiac failure or cardiac dysfunction accompanies renal failure [1Ronco C, McCullough P, Anker SD, et al. Acute Dialysis Quality Initiative (ADQI) consensus group. Cardio-renal syndromes: report from the consensus conference of the acute dialysis quality initiative Eur Heart J 2010; 31: 703-11., 2Shah BN, Greaves K. The cardiorenal syndrome: a review Int J Nephrol 2010; 2011: 920195.]. There are 5 types of CRS (Table 1). The rising prevalence of chronic kidney disease (CKD) and heart failure (HF), contributed to the increase of the incidence of CRS, which was further increased by the improved survival of patient with HF, CKD or both [3Koniari K, Nikolaou M, Paraskevaidis I, Parissis J. Therapeutic options for the management of the cardiorenal syndrome Int J Nephrol 2010; 2011: 194910., 4Parikh CR, Coca SG, Wang Y, Masoudi FA, Krumholz HM. Long-term prognosis of acute kidney injury after acute myocardial infarction Arch Intern Med 2008; 168: 987-5.]. The heterogeneous and complex pathophysiology of CRS makes effective patient management difficult. Established therapeutic strategies, such as diuretics, are often associated with resistance and limited clinical success [3Koniari K, Nikolaou M, Paraskevaidis I, Parissis J. Therapeutic options for the management of the cardiorenal syndrome Int J Nephrol 2010; 2011: 194910., 5Geisberg C, Butler J. Addressing the challenges of cardiorenal syndrome Cleve Clin J Med 2006; 73: 485-91.]. Fabian et al. [6Fabbian F, Pala M, De Giorgi A, et al. Clinical features of cardio-renal syndrome in a cohort of consecutive patients admitted to an internal medicine ward Open Cardiovasc Med J 2011; (in press)] provide useful data about CRS. The percentage of patients with the syndrome is relatively high among patients admitted in an Internal Medicine Ward (1 in 7 patients). In CRS, HF and CKD shared a substantial number of risk factors [6Fabbian F, Pala M, De Giorgi A, et al. Clinical features of cardio-renal syndrome in a cohort of consecutive patients admitted to an internal medicine ward Open Cardiovasc Med J 2011; (in press)], such as old age, arterial hypertension, diabetes mellitus (DM), and history of cardiovascular disease (CVD) [6Fabbian F, Pala M, De Giorgi A, et al. Clinical features of cardio-renal syndrome in a cohort of consecutive patients admitted to an internal medicine ward Open Cardiovasc Med J 2011; (in press)]. Despite the fact that Fabian et al. do not report mortality rates they support that "women with glomerular filtration rate (GFR) 30-44 ml/min/1.73m2 and men with GFR 30-50 ml/min/1.73m2 but without history of CVD had a hazard ratio for CVD of 1.51 that increased to 2.39 in those with CVD history. Worsening of renal function is also an independent predictor of mortality in acute decompensated heart failure (ADHF)." Moreover, it has been established that individuals with CKD are more likely to die of CVD than to develop kidney failure [7Shulman NB, Ford CE, Hall WD, et al. The Hypertension Detection and Follow-up Program Cooperative Group. Prognostic value of serum creatinine and effect of treatment of hypertension on renal function: results from the hypertension detection and follow-up program Hypertension 1989; 13(suppl 5): I80-93.]. Thus, given the poor prognosis of CRS [3Koniari K, Nikolaou M, Paraskevaidis I, Parissis J. Therapeutic options for the management of the cardiorenal syndrome Int J Nephrol 2010; 2011: 194910.,5Geisberg C, Butler J. Addressing the challenges of cardiorenal syndrome Cleve Clin J Med 2006; 73: 485-91.] Fabian et al. suggest that prevention is a priority [8McCullough PA, Haapio M, Mankad S, et al. Acute Dialysis Quality Initiative (ADQI) Consensus Group. Prevention of cardio-renal syndromes: workgroup statements from the 7th ADQI Consensus Conference Nephrol Dial Transplant 2010; 25: 1777-84.]. Some of the measures of CRS prevention are focused, according to CRS type, on preventing decompensation of stable HF, optimal medical and device treatment of HF with blood pressure and volume control, prevention of acute renal injury (AKI), attenuating the progression of CKD, and treatment of the underlying systemic disease to reduce endorgan injury [3Koniari K, Nikolaou M, Paraskevaidis I, Parissis J. Therapeutic options for the management of the cardiorenal syndrome Int J Nephrol 2010; 2011: 194910.,5Geisberg C, Butler J. Addressing the challenges of cardiorenal syndrome Cleve Clin J Med 2006; 73: 485-91.]. CRS is a haemodynamic derangement ranging from acute pulmonary oedema, with hypertension through severe peripheral fluid overload, to cardiogenic shock and hypotension [9Hunt SA, Abraham WT, Chin MH, et al. 2009 focused update incorporated into the ACC/AHA 2005 guidelines for the diagnosis and management of heart failure in adults: A report of the American College of Cardiology Foundation/American Heart Association Task Force on Practice Guidelines: Developed in collaboration with the international society for Heart and Lung Transplantation J Am Coll Cardiol 2009; 53(15): e1-e90.]. However, its pathophysiology is much more complex than simply reduced cardiac output or renal dysfunction. Factors such as nitric oxide, prostaglandin, natriuretic peptides, and endothelin may mediate renal perfusion independently of cardiac haemodynamics and vice versa [10Forman DE, Bulter J, Wang Y, et al. Incidence, predicators at admission and impact of worsening renal function among patients hospitalized with heart failure J Am Coll Cardiol 2004; 43: 62-7.]. There are some "established" measures for the prevention or the treatment of CRS. One of these is renin-angiotensin-aldosterone system (RAAS) blockade [5Geisberg C, Butler J. Addressing the challenges of cardiorenal syndrome Cleve Clin J Med 2006; 73: 485-91.]. Many trials confirmed the benefits of angiotensin enzyme inhibitors (ACEI), such as Studies of Left Ventricular Dysfunction (SOLVD), in the treatment of HF [11The SOLVD Investigators.Effect of enalapril on survival in patients with reduced left ventricular ejection fractions and congestive heart failure N Engl J Med 1992; 325: 293-302.]. However, SOLVD excluded patients with serum creatinine concentrations > 2.0 mg/dL. The Cooperative North Scandinavian Enalapril Survival Study (CONSENSUS) [12Ljungman S, Kjekshus J, Swedberg K. Renal function in severe congestive heart failure during treatment with enalapril (the Cooperative North Scandinavian Enalapril Survival Study [CONSENSUS] Trial) Am J Cardiol 1992; 70: 479-87.] in patients with severe HF, included patients with renal impairment, but only if their serum creatinine concentrations were < 3.4 mg/dl. Although only a minority of patients in CONSENSUS had creatinine levels > 2.0 mg/dL, this subgroup showed evidence of improved outcomes when treated with an ACEI [12Ljungman S, Kjekshus J, Swedberg K. Renal function in severe congestive heart failure during treatment with enalapril (the Cooperative North Scandinavian Enalapril Survival Study [CONSENSUS] Trial) Am J Cardiol 1992; 70: 479-87.]. Some of those experienced a serum creatinine increased by 30% or greater with enalapril [12Ljungman S, Kjekshus J, Swedberg K. Renal function in severe congestive heart failure during treatment with enalapril (the Cooperative North Scandinavian Enalapril Survival Study [CONSENSUS] Trial) Am J Cardiol 1992; 70: 479-87.]. However, creatinine tended to stabilize and in many patients improved throughout the study. Therefore, it has been suggested that RAAS blockade may be carefully titrated provided that serum creatinine does not continue to rise beyond 30% and potassium is constantly < 5.0 mmol/L [13House AA, Haapio M, Lassus J, Bellomo R, Ronco C. Pharmacological management of cardiorenal syndromes Int J Nephrol 2011; 2011: 630809.]. ACEI therapy in patients with baseline renal insufficiency is associated with significant long-term benefits [14Hou FF, Zhang X, Zhang GH, et al. Efficacy and safety of benazepril for advanced chronic renal insuficiency N Engl J Med 2006; 354: 131-40. ], and unless contraindicated, should be routinely used [5Geisberg C, Butler J. Addressing the challenges of cardiorenal syndrome Cleve Clin J Med 2006; 73: 485-91.]. Most patients who are already on an ACEI and develop renal insufficiency during hospitalization for HF decompensation should not have their ACEI stopped. In general, ACEI use is not associated with worsening renal function in these patients [15Butler J, Forman DE, Abraham WT, et al. Relationship between heart failure treatment and development of worsening renal func-tion among hospitalized patients Am Heart J 2004; 147: 331-8.]. However, clinical judgment should be used in patients with cardiogenic shock or acute renal failure [14Hou FF, Zhang X, Zhang GH, et al. Efficacy and safety of benazepril for advanced chronic renal insuficiency N Engl J Med 2006; 354: 131-40.]. Blockade of the sympathetic system with beta-blockers is another important strategy for patients with congestive HF or CHD [13House AA, Haapio M, Lassus J, Bellomo R, Ronco C. Pharmacological management of cardiorenal syndromes Int J Nephrol 2011; 2011: 630809.]. In general, these drugs should not adversely affect kidney function. Certain beta-blockers may be relatively contraindicated in CKD because of metabolism by the kidney, such as atenolol, nadolol or sotalol [16Yorgun H, Deniz A, Aytemir K. Cardiogenic shock secondary to combination of diltiazem and sotalol Intern Med J 2008; 38: 221-.]. Carvedilol has been demonstrated to have favourable effects on kidney function in some CRS patients, and may have a benefit over older beta-blockers [17Bakris GL, Hart P, Ritz E. Beta blockers in the management of chronic kidney disease Kidney Int 2006; 70: 1905-3.]. Both congestive HF and CKD are associated with anaemia, the latter of which is commonly treated with erythropoiesis-stimulating agents [18McCullough PA, Lepor NE. The deadly triangle of anemia, renal insufficiency, and cardiovascular disease: implications for prognosis and treatment Rev Cardiovasc Med 2005; 6: 1-10. ], and there is interest in using erythropoiesis-stimulating agents in HF patients [19Pagourelias ED, Koumaras C, Kakafika AI, et al. Cardiorenal anemia syndrome: do erythropoietin and iron therapy have a place in the treatment of heart failure? Angiology 2009; 60: 74-81.]. However, other studies did not find significant improvement in a variety of important clinical parameters [20McCullough PA, Wolyn R, Rocher LL, Levin RN, O’Neill WW. Acute renal failure after coronary intervention: incidence, risk factors, and relationship to mortality Am J Med 1997; 103: 368-75.]. Moreover, the Trial to Reduce Cardiovascular Events with Aranesp Therapy (TREAT) [21Solomon SD, Uno H, Lewis EF, et al. Trial to Reduce Cardiovascular Events with Aranesp Therapy (TREAT) Investigators.Erythropoietic response and outcomes in kidney disease and type 2 diabetes N Engl J Med 2010; 363: 1146-55.] reported that patients with a poor response to darbepoetin alfa, compared with those with a better response, had higher rates of the composite CVD end point [adjusted hazard ratio (HR), 1.31; 95% confidence interval [CI], 1.09 to 1.59) or death (adjusted HR, 1.41; 95% CI, 1.12 to 1.78), as doses were increased to attain target haemoglobin levels. These findings raise concern about current strategies for treating anaemia in patients with CKD [21Solomon SD, Uno H, Lewis EF, et al. Trial to Reduce Cardiovascular Events with Aranesp Therapy (TREAT) Investigators.Erythropoietic response and outcomes in kidney disease and type 2 diabetes N Engl J Med 2010; 363: 1146-55.]. However, it seems that there is a treatment that potentially improves both cardiac and renal function and practically remains unused in the effort to prevent CRS: effective statin treatment with a specific compound at specific doses [22Athyros VG, Karagiannis A, Kakafika A, Elisaf M, Mikhailidis DP. Statins and renal function.Is the compound and dose making a difference? Nephrol Dial Transplant 2007; 22: 963-4.]. It was shown in a post hoc analysis of the Treating to New Targets (TNT) study (n = 10,001) that 80 mg/day of atorvastatin compared with the 10 mg/day dose, in patients with stable coronary heart disease (CHD) significantly reduces hospitalizations for HF [23Khush KK, Waters DD, Bittner V, et al. Effect of high-dose atorvastatin on hospitalizations for heart failure: subgroup analysis of the Treating to New Targets (TNT) study Circulation 2007; 115: 576-83.]. However, this benefit was mainly shaped by CHD patients with a history of HF (7.8% of study population) [23Khush KK, Waters DD, Bittner V, et al. Effect of high-dose atorvastatin on hospitalizations for heart failure: subgroup analysis of the Treating to New Targets (TNT) study Circulation 2007; 115: 576-83.]. In this subgroup the incidence of hospitalizations was substantially less in the 80 mg/day group than those with a 10 mg/day group [17.3 vs 10.6% in the 10- and 80-mg arms, respectively (HR 0.59; 95% CI 0.4 to 0.88; P=0.009)] [23Khush KK, Waters DD, Bittner V, et al. Effect of high-dose atorvastatin on hospitalizations for heart failure: subgroup analysis of the Treating to New Targets (TNT) study Circulation 2007; 115: 576-83.]. Similar were the results of the GREek Atorvastatin and Coronary-heart-disease Evaluation (GREACE) study [24Athyros VG, Karagiannis A, Mikhailidis DP. Statins and heart failure J Am Coll Cardiol 2010; 55: 1644-5.] that we reported 5 years earlier than TNT. A post hoc analysis of the Scandinavian Simvastatin Survival Study (4S) in 1997 [25Kjekshus J, Pedersen TR, Olsson AG, Faergeman O, Pyörälä K. The effects of simvastatin on the incidence of heart failure in patients with coronary heart disease J Card Fail 1997; 3: 249-54.] showed that mortality was 31.9% in the placebo group and 25.5% in the simvastatin group among patients who developed HF. These were substantially higher than the mortality rates of non-HF patients (9.2 and 6.6%, respectively), however, the reduction in mortality and hospitalizations were comparable among HF and non-HF patients [25Kjekshus J, Pedersen TR, Olsson AG, Faergeman O, Pyörälä K. The effects of simvastatin on the incidence of heart failure in patients with coronary heart disease J Card Fail 1997; 3: 249-54.]. Still, this is the heart end of the CRS. The issue is to cover both the heart and kidney. Early CKD (up to stage 3; the stages of CKD are reported in Table 2) could be slowed down [26Sandhu S, Wiebe N, Fried LF, Tonelli M. Statins for improving renal outcomes: a meta-analysis J Am Soc Nephrol 2006; 17: 2006-16.] or even reversed by statins which on the other hand substantially reduce CVD events [22Athyros VG, Karagiannis A, Kakafika A, Elisaf M, Mikhailidis DP. Statins and renal function.Is the compound and dose making a difference? Nephrol Dial Transplant 2007; 22: 963-4., 27Kalaitzidis RG, Elisaf MS. The role of statins in chronic kidney disease Am J Nephrol 2011; 34: 195-202.-30Athyros VG, Mikhailidis DP, Papageorgiou AA, et al. GREACE Study Collaborative Group. Effect of statins and ACE inhibitors alone and in combination on clinical outcome in patients with coronary heart disease J Hum Hypertens 2004; 18: 781-8.]. Uncontrolled dyslipidaemia induces a renal function impairment that ranges from 1 to 12 ml/min/1.73m2 per year, particularly in the presence of diabetes (DM) or arterial hypertension [27Kalaitzidis RG, Elisaf MS. The role of statins in chronic kidney disease Am J Nephrol 2011; 34: 195-202.,29Athyros VG, Mitsiou EK, Tziomalos K, Karagiannis A, Mikhailidis DP. Impact of managing atherogenic dyslipidemia on cardiovascular outcome across different stages of diabetic nephropathy Expert Opin Pharmacother 2010; 11: 723-30.]. A large study with 40 mg/day of simvastatin (the Heart Protection Study, n=20,000) [31Collins R, Armitage J, Parish S, et al. MRC/BHF Heart Protection Study of cholesterol-lowering with simvastatin in 5963 people with diabetes: A randomised placebo-controlled trial Lancet 2003; 361: 2005-16.] and a joint analysis of pravastatin trials [32Tonelli M, Isles C, Craven T, et al. Effect of pravastatin on rate of kidney function loss in people with or at risk for coronary disease Circulation 2005; 112: 171-8.] showed that these statins reduce the rate of the (expected with age and CVD risk factors) kidney function decline in patients with or at risk of CVD. In the GREACE study, we showed for the first time that atorvastatin treatment significantly increases eGFR. In contrast, eGFR was reduced in untreated patients with CHD with or without metabolic syndrome (MetS) or DM [33Athyros VG, Mikhailidis DP, Papageorgiou AA, et al. A subgroup analysis of the Greek atorvastatin and coronary heart disease evaluation (GREACE) study. The effect of statins versus untreated dyslipidaemia on renal function in patients with coronary heart disease J Clin Pathol 2004; 57: 728-34.-35Athyros VG, Papageorgiou AA, Elisaf M, Mikhailidis DP. GREACE Study Collaborative Group Statins and renal function in patients with diabetes mellitus Curr Med Res Opin 2003; 19: 615-7.]. This improvement of renal function was clinically relevant and associated with substantially reduced CVD events [33Athyros VG, Mikhailidis DP, Papageorgiou AA, et al. A subgroup analysis of the Greek atorvastatin and coronary heart disease evaluation (GREACE) study. The effect of statins versus untreated dyslipidaemia on renal function in patients with coronary heart disease J Clin Pathol 2004; 57: 728-34.]. With every 5% in eGFR increase there was a reduction of 16% in clinical vascular events, after multiple regression analysis adjusting for major covariates [33Athyros VG, Mikhailidis DP, Papageorgiou AA, et al. A subgroup analysis of the Greek atorvastatin and coronary heart disease evaluation (GREACE) study. The effect of statins versus untreated dyslipidaemia on renal function in patients with coronary heart disease J Clin Pathol 2004; 57: 728-34.]. Thus, with a 10% increase of eGFR in stage 2 and 3 CKD patients in GREACE we recorded a 32% further (independent of LDL-C) reduction in clinical events [33Athyros VG, Mikhailidis DP, Papageorgiou AA, et al. A subgroup analysis of the Greek atorvastatin and coronary heart disease evaluation (GREACE) study. The effect of statins versus untreated dyslipidaemia on renal function in patients with coronary heart disease J Clin Pathol 2004; 57: 728-34.]. A substantial benefit of atorvastatin treatment was also seen in the large TNT trial (n = 10,001 patients with stable CHD) [36Shepherd J, Kastelein JJ, Bittner V, et al. Treating to New Targets Investigators. Effect of intensive lipid lowering with atorvastatin on renal function in patients with coronary heart disease: the Treating to New Targets (TNT) study Clin J Am Soc Nephrol 2007; 2: 1131-9.,37Shepherd J, Kastelein JJ, Bittner V, et al. Intensive lipid lowering with atorvastatin in patients with coronary heart disease and chronic kidney disease: the TNT (Treating to New Targets) study J Am Coll Cardiol 2008; 51: 1448-54.]. In stage 3 CKD TNT patients, the increase in eGFR was significantly greater with atorvastatin 80 mg/day than with 10 mg/day (9.9 vs 6.6%, respectively; p < 0.005) [36Shepherd J, Kastelein JJ, Bittner V, et al. Treating to New Targets Investigators. Effect of intensive lipid lowering with atorvastatin on renal function in patients with coronary heart disease: the Treating to New Targets (TNT) study Clin J Am Soc Nephrol 2007; 2: 1131-9.]. In patients with stage 3 CKD (n = 3,107) the HR for CVD events was 31.9% higher than those without CKD (n = 6,549), regardless of atorvastatin dose [36Shepherd J, Kastelein JJ, Bittner V, et al. Treating to New Targets Investigators. Effect of intensive lipid lowering with atorvastatin on renal function in patients with coronary heart disease: the Treating to New Targets (TNT) study Clin J Am Soc Nephrol 2007; 2: 1131-9.]. Nevertheless, compared with atorvastatin 10 mg/day, the 80 mg/day dose reduced the relative risk of major CVD events significantly more in those with CKD (by 32 vs 15% in those with normal renal function) [37Shepherd J, Kastelein JJ, Bittner V, et al. Intensive lipid lowering with atorvastatin in patients with coronary heart disease and chronic kidney disease: the TNT (Treating to New Targets) study J Am Coll Cardiol 2008; 51: 1448-54.] This reduction shaped the overall TNT outcome and was identical with the one we recorded in GREACE [33Athyros VG, Mikhailidis DP, Papageorgiou AA, et al. A subgroup analysis of the Greek atorvastatin and coronary heart disease evaluation (GREACE) study. The effect of statins versus untreated dyslipidaemia on renal function in patients with coronary heart disease J Clin Pathol 2004; 57: 728-34.]. In the Collaborative Atorvastatin Diabetes Study (CARDS) [38Colhoun HM, Betteridge DJ, Durrington PN, et al. CARDS Investigators. Effects of atorvastatin on kidney outcomes and cardiovascular disease in patients with diabetes: an analysis from the Collaborative Atorvastatin Diabetes Study (CARDS) Am J Kidney Dis 2009; 54: 810-19. ], a randomized placebo-controlled trial that included 2,838 patients with type 2 DM and free of CVD at baseline, 34% of the patients had stage 3 CKD (eGFR of 30-59 ml/min/1.73m2-Table 2). In these patients atorvastatin 10 mg/day was associated with a moderate improvement in the annual change in eGFR (p = 0.01). This was accompanied by a substantial reduction in major CVD events (total mortality plus non-fatal myocardial infarction: -42%) and stroke (-61%) [38Colhoun HM, Betteridge DJ, Durrington PN, et al. CARDS Investigators. Effects of atorvastatin on kidney outcomes and cardiovascular disease in patients with diabetes: an analysis from the Collaborative Atorvastatin Diabetes Study (CARDS) Am J Kidney Dis 2009; 54: 810-19. ], compared with placebo. In GREACE, TNT and CARDS, the control of other CVD risk factors (except dyslipidaemia) was similar in the atorvastatin and placebo (or usual care for GREACE) groups; therefore the improvement in renal function and the clinical benefit in terms of CVD event reduction is attributed to atorvastatin use. This stage 3 CKD patient group is a substantial part of secondary prevention patients (32 to 34% in all 3 of the studies above) and benefited most from lipid-lowering in all 3 studies. In the above studies in patients effectively treated with statins there were less acute coronary events (less ground for type 1 CRS), less cases with congestive HF (less ground for type 2 CRS) and fewer cases with CKD, because statin treatment halted the evolution of kidney impairment or even reversed it. Thus, there was less ground for type 4 CRS and if CKD is the perfect substrate for acute kidney impairment after haemodynamic derangement, less ground for type 3 CRS. Even type 5 CRS could be prevented, at least in part, with statin treatment. There is a positive impact of managing atherogenic dyslipidaemia on CVD outcome across all stages of diabetic nephropathy [29Athyros VG, Mitsiou EK, Tziomalos K, Karagiannis A, Mikhailidis DP. Impact of managing atherogenic dyslipidemia on cardiovascular outcome across different stages of diabetic nephropathy Expert Opin Pharmacother 2010; 11: 723-30. ], MetS [39Athyros VG, Karagiannis A, Ganotakis ES, et al. Assessing The Treatment Effect in Metabolic syndrome without Perceptible diabeTes (ATTEMPT) Collaborative Group. Association between the changes in renal function and serum uric acid levels during multifactorial intervention and clinical outcome in patients with metabolic syndrome. A post hoc analysis of the ATTEMPT study Curr Med Res Opin 2011; 27: 1659-. ], non alcoholic fatty liver disease (NAFLD) [40Athyros VG, Giouleme O, Ganotakis ES, et al. Assessing the Treatment Effect in Metabolic syndrome without Perceptible diabeTes (ATTEMPT) Collaborative Group. Safety and impact on cardiovascular events of long-term multifactorial treatment in patients with metabolic syndrome and abnormal liver function tests: a post hoc analysis of the randomised ATTEMPT Study Arch Med Sci 2011. ], or systemic autoimmune diseases (SAD) [41Athyros VG, Kakafika AI, Karagiannis A, Mikhailidis DP. Do we need to consider inflammatory markers when we treat atherosclerotic disease? Atherosclerosis 2008; 200: 1-12.]. CVD is the leading cause of morbidity and mortality in patients with SADs [42Solomon DH, Karlson EW, Rimm EB, et al. Cardiovascular morbidity and mortality in women diagnosed with rheumatoid arthritis Circulation 2003; 107: 1303-7.]. Patients with systemic lupus erythematosus (SLE) are 5-6 times more likely to have a significant coronary event than the general population [43Manzi S, Meilahn EN, Rairie JE, et al. Age-specific incidence rates of myocardial infarction and angina in women with systemic lupus erythematosus: comparison with the Framingham Study Am J Epidemiol 1997; 145: 408-15.]. Rheumatoid arthritis (RA) is also associated with an increased CVD risk resulting in early mortality and excess morbidity [42Solomon DH, Karlson EW, Rimm EB, et al. Cardiovascular morbidity and mortality in women diagnosed with rheumatoid arthritis Circulation 2003; 107: 1303-7.-44Abou-Raya A, Abou-Raya S. Inflammation: a pivotal link between autoimmune diseases and atherosclerosis Autoimmun Rev 2006; 5: 331-7.]. However these diseases also affect renal function [45Costenbader KH, Desai A, Alarcón GS, et al. Trends in the incidence, demographics, and outcomes of end-stage renal disease due to lupus nephritis in the US from 1995 to 2006 Arthritis Rheum 2011; 63: 1681-8.]. Both CVD and CKD might be effectively managed, to some extent, by statins [42Solomon DH, Karlson EW, Rimm EB, et al. Cardiovascular morbidity and mortality in women diagnosed with rheumatoid arthritis Circulation 2003; 107: 1303-7.] Both CVD and CKD in the above diseases are related to low grade inflammation, endothelial dysfunction-low NO levels, oxidative stress, instability of atherosclerotic plaques and a pro-coagulant state related to atherosclerosis [41Athyros VG, Kakafika AI, Karagiannis A, Mikhailidis DP. Do we need to consider inflammatory markers when we treat atherosclerotic disease? Atherosclerosis 2008; 200: 1-12.,46Athyros VG, Kakafika AI, Tziomalos K, Karagiannis A, Mikhailidis DP. Pleiotropic effects of statins--clinical evidence Curr Pharm Des 2009; 15: 479-89.]. There is evidence that these factors could be controlled by the pleiotropic (cholesterol-lowering-independent) effects of statins [46Athyros VG, Kakafika AI, Tziomalos K, Karagiannis A, Mikhailidis DP. Pleiotropic effects of statins--clinical evidence Curr Pharm Des 2009; 15: 479-89.]. These effects are enhanced by even a small increase in high density lipoprotein cholesterol levels [47Athyros VG, Kakafika AI, Papageorgiou AA, et al. 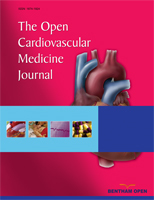 Statin-induced increase in HDL-C and renal function in coronary heart disease patients Open Cardiovasc Med J 2007; 1: 8-14. ], and are evident even in patients with mild renal impairment [48Athyros VG, Katsiki N, Karagiannis N, Mikhailidis DP. Mildly decreased glomerular filtration rate is associated with poor coronary heart disease outcome Clin Cardiol 2011.]. All the above suggest that the use of ACEI and statins might be an effective regimen to prevent a substantial number of CRS cases in high risk patients and improve survival and quality of life in these people. There are data suggesting that combined use of a statin plus an ACEI improves clinical outcome more than a statin alone and considerably more than an ACEI alone [30Athyros VG, Mikhailidis DP, Papageorgiou AA, et al. GREACE Study Collaborative Group. Effect of statins and ACE inhibitors alone and in combination on clinical outcome in patients with coronary heart disease J Hum Hypertens 2004; 18: 781-8.]. After all, recent guidelines suggest that CKD is a high CVD risk situation [49Athyros VG, Katsiki N, Karagiannis A, Mikhailidis DP. Should chronic kidney disease be considered as a coronary heart disease equivalent? Curr Vasc Pharmacol 2011.,50Reiner Z, Catapano AL, De Backer G, et al. ESC/EAS Guidelines for the management of dyslipidaemias: The Task Force for the management of dyslipidaemias of the European Society of Cardiology (ESC) and the European Atherosclerosis Society (EAS) Eur Heart J 2011; 32: 1769-818.]. This requires aggressive statin treatment. This editorial was written independently; no company or institution supported it financially. No professional writer was involved. The authors have given talks, attended conferences and participated in trials and advisory boards sponsored by various pharmaceutical companies. Ronco C, McCullough P, Anker SD, et al. Acute Dialysis Quality Initiative (ADQI) consensus group. Cardio-renal syndromes: report from the consensus conference of the acute dialysis quality initiative Eur Heart J 2010; 31: 703-11. Shah BN, Greaves K. The cardiorenal syndrome: a review Int J Nephrol 2010; 2011: 920195. Koniari K, Nikolaou M, Paraskevaidis I, Parissis J. Therapeutic options for the management of the cardiorenal syndrome Int J Nephrol 2010; 2011: 194910. Parikh CR, Coca SG, Wang Y, Masoudi FA, Krumholz HM. Long-term prognosis of acute kidney injury after acute myocardial infarction Arch Intern Med 2008; 168: 987-5. Geisberg C, Butler J. Addressing the challenges of cardiorenal syndrome Cleve Clin J Med 2006; 73: 485-91. Shulman NB, Ford CE, Hall WD, et al. The Hypertension Detection and Follow-up Program Cooperative Group. Prognostic value of serum creatinine and effect of treatment of hypertension on renal function: results from the hypertension detection and follow-up program Hypertension 1989; 13(suppl 5): I80-93. Hunt SA, Abraham WT, Chin MH, et al. 2009 focused update incorporated into the ACC/AHA 2005 guidelines for the diagnosis and management of heart failure in adults: A report of the American College of Cardiology Foundation/American Heart Association Task Force on Practice Guidelines: Developed in collaboration with the international society for Heart and Lung Transplantation J Am Coll Cardiol 2009; 53(15): e1-e90. Forman DE, Bulter J, Wang Y, et al. Incidence, predicators at admission and impact of worsening renal function among patients hospitalized with heart failure J Am Coll Cardiol 2004; 43: 62-7. The SOLVD Investigators.Effect of enalapril on survival in patients with reduced left ventricular ejection fractions and congestive heart failure N Engl J Med 1992; 325: 293-302. Ljungman S, Kjekshus J, Swedberg K. Renal function in severe congestive heart failure during treatment with enalapril (the Cooperative North Scandinavian Enalapril Survival Study [CONSENSUS] Trial) Am J Cardiol 1992; 70: 479-87. House AA, Haapio M, Lassus J, Bellomo R, Ronco C. Pharmacological management of cardiorenal syndromes Int J Nephrol 2011; 2011: 630809. Hou FF, Zhang X, Zhang GH, et al. Efficacy and safety of benazepril for advanced chronic renal insuficiency N Engl J Med 2006; 354: 131-40. Butler J, Forman DE, Abraham WT, et al. Relationship between heart failure treatment and development of worsening renal func-tion among hospitalized patients Am Heart J 2004; 147: 331-8. Yorgun H, Deniz A, Aytemir K. Cardiogenic shock secondary to combination of diltiazem and sotalol Intern Med J 2008; 38: 221-. Bakris GL, Hart P, Ritz E. Beta blockers in the management of chronic kidney disease Kidney Int 2006; 70: 1905-3. McCullough PA, Lepor NE. The deadly triangle of anemia, renal insufficiency, and cardiovascular disease: implications for prognosis and treatment Rev Cardiovasc Med 2005; 6: 1-10. Pagourelias ED, Koumaras C, Kakafika AI, et al. Cardiorenal anemia syndrome: do erythropoietin and iron therapy have a place in the treatment of heart failure? Angiology 2009; 60: 74-81. McCullough PA, Wolyn R, Rocher LL, Levin RN, O’Neill WW. Acute renal failure after coronary intervention: incidence, risk factors, and relationship to mortality Am J Med 1997; 103: 368-75. Solomon SD, Uno H, Lewis EF, et al. Trial to Reduce Cardiovascular Events with Aranesp Therapy (TREAT) Investigators.Erythropoietic response and outcomes in kidney disease and type 2 diabetes N Engl J Med 2010; 363: 1146-55. Athyros VG, Karagiannis A, Kakafika A, Elisaf M, Mikhailidis DP. Statins and renal function.Is the compound and dose making a difference? Nephrol Dial Transplant 2007; 22: 963-4. Khush KK, Waters DD, Bittner V, et al. Effect of high-dose atorvastatin on hospitalizations for heart failure: subgroup analysis of the Treating to New Targets (TNT) study Circulation 2007; 115: 576-83. Athyros VG, Karagiannis A, Mikhailidis DP. Statins and heart failure J Am Coll Cardiol 2010; 55: 1644-5. Kjekshus J, Pedersen TR, Olsson AG, Faergeman O, Pyörälä K. The effects of simvastatin on the incidence of heart failure in patients with coronary heart disease J Card Fail 1997; 3: 249-54. Sandhu S, Wiebe N, Fried LF, Tonelli M. Statins for improving renal outcomes: a meta-analysis J Am Soc Nephrol 2006; 17: 2006-16. Kalaitzidis RG, Elisaf MS. The role of statins in chronic kidney disease Am J Nephrol 2011; 34: 195-202. Fellström B, Holdaas H, Jardine AG, et al. AURORA Study Group. Cardiovascular disease in patients with renal disease: the role of statins Curr Med Res Opin 2009; 25: 271-85. Athyros VG, Mitsiou EK, Tziomalos K, Karagiannis A, Mikhailidis DP. Impact of managing atherogenic dyslipidemia on cardiovascular outcome across different stages of diabetic nephropathy Expert Opin Pharmacother 2010; 11: 723-30. Athyros VG, Mikhailidis DP, Papageorgiou AA, et al. GREACE Study Collaborative Group. Effect of statins and ACE inhibitors alone and in combination on clinical outcome in patients with coronary heart disease J Hum Hypertens 2004; 18: 781-8. Collins R, Armitage J, Parish S, et al. MRC/BHF Heart Protection Study of cholesterol-lowering with simvastatin in 5963 people with diabetes: A randomised placebo-controlled trial Lancet 2003; 361: 2005-16. Tonelli M, Isles C, Craven T, et al. Effect of pravastatin on rate of kidney function loss in people with or at risk for coronary disease Circulation 2005; 112: 171-8. Athyros VG, Mikhailidis DP, Papageorgiou AA, et al. A subgroup analysis of the Greek atorvastatin and coronary heart disease evaluation (GREACE) study. The effect of statins versus untreated dyslipidaemia on renal function in patients with coronary heart disease J Clin Pathol 2004; 57: 728-34. Athyros VG, Mikhailidis DP, Liberopoulos EN, et al. Effect of statin treatment on renal function and serum uric acid levels and their relation to vascular events in patients with coronary heart disease and metabolic syndrome: a subgroup analysis of the GREek Atorvastatin and Coronary heart disease Evaluation (GREACE) Study Nephrol Dial Transplant 2007; 22: 118-27. Athyros VG, Papageorgiou AA, Elisaf M, Mikhailidis DP. GREACE Study Collaborative Group Statins and renal function in patients with diabetes mellitus Curr Med Res Opin 2003; 19: 615-7. Shepherd J, Kastelein JJ, Bittner V, et al. Treating to New Targets Investigators. Effect of intensive lipid lowering with atorvastatin on renal function in patients with coronary heart disease: the Treating to New Targets (TNT) study Clin J Am Soc Nephrol 2007; 2: 1131-9. Shepherd J, Kastelein JJ, Bittner V, et al. Intensive lipid lowering with atorvastatin in patients with coronary heart disease and chronic kidney disease: the TNT (Treating to New Targets) study J Am Coll Cardiol 2008; 51: 1448-54. Colhoun HM, Betteridge DJ, Durrington PN, et al. CARDS Investigators. Effects of atorvastatin on kidney outcomes and cardiovascular disease in patients with diabetes: an analysis from the Collaborative Atorvastatin Diabetes Study (CARDS) Am J Kidney Dis 2009; 54: 810-19. Athyros VG, Karagiannis A, Ganotakis ES, et al. Assessing The Treatment Effect in Metabolic syndrome without Perceptible diabeTes (ATTEMPT) Collaborative Group. Association between the changes in renal function and serum uric acid levels during multifactorial intervention and clinical outcome in patients with metabolic syndrome. A post hoc analysis of the ATTEMPT study Curr Med Res Opin 2011; 27: 1659-. Athyros VG, Giouleme O, Ganotakis ES, et al. Assessing the Treatment Effect in Metabolic syndrome without Perceptible diabeTes (ATTEMPT) Collaborative Group. Safety and impact on cardiovascular events of long-term multifactorial treatment in patients with metabolic syndrome and abnormal liver function tests: a post hoc analysis of the randomised ATTEMPT Study Arch Med Sci 2011. Athyros VG, Kakafika AI, Karagiannis A, Mikhailidis DP. Do we need to consider inflammatory markers when we treat atherosclerotic disease? Atherosclerosis 2008; 200: 1-12. Solomon DH, Karlson EW, Rimm EB, et al. Cardiovascular morbidity and mortality in women diagnosed with rheumatoid arthritis Circulation 2003; 107: 1303-7. Manzi S, Meilahn EN, Rairie JE, et al. Age-specific incidence rates of myocardial infarction and angina in women with systemic lupus erythematosus: comparison with the Framingham Study Am J Epidemiol 1997; 145: 408-15. Abou-Raya A, Abou-Raya S. Inflammation: a pivotal link between autoimmune diseases and atherosclerosis Autoimmun Rev 2006; 5: 331-7. Costenbader KH, Desai A, Alarcón GS, et al. Trends in the incidence, demographics, and outcomes of end-stage renal disease due to lupus nephritis in the US from 1995 to 2006 Arthritis Rheum 2011; 63: 1681-8. Athyros VG, Kakafika AI, Tziomalos K, Karagiannis A, Mikhailidis DP. Pleiotropic effects of statins--clinical evidence Curr Pharm Des 2009; 15: 479-89. Athyros VG, Kakafika AI, Papageorgiou AA, et al. Statin-induced increase in HDL-C and renal function in coronary heart disease patients Open Cardiovasc Med J 2007; 1: 8-14. Athyros VG, Katsiki N, Karagiannis N, Mikhailidis DP. Mildly decreased glomerular filtration rate is associated with poor coronary heart disease outcome Clin Cardiol 2011. Athyros VG, Katsiki N, Karagiannis A, Mikhailidis DP. Should chronic kidney disease be considered as a coronary heart disease equivalent? Curr Vasc Pharmacol 2011. Reiner Z, Catapano AL, De Backer G, et al. ESC/EAS Guidelines for the management of dyslipidaemias: The Task Force for the management of dyslipidaemias of the European Society of Cardiology (ESC) and the European Atherosclerosis Society (EAS) Eur Heart J 2011; 32: 1769-818.